Purchasing a hot tub is in many ways like purchasing a car and as such you may need some basic service and maintenance support from time to time. 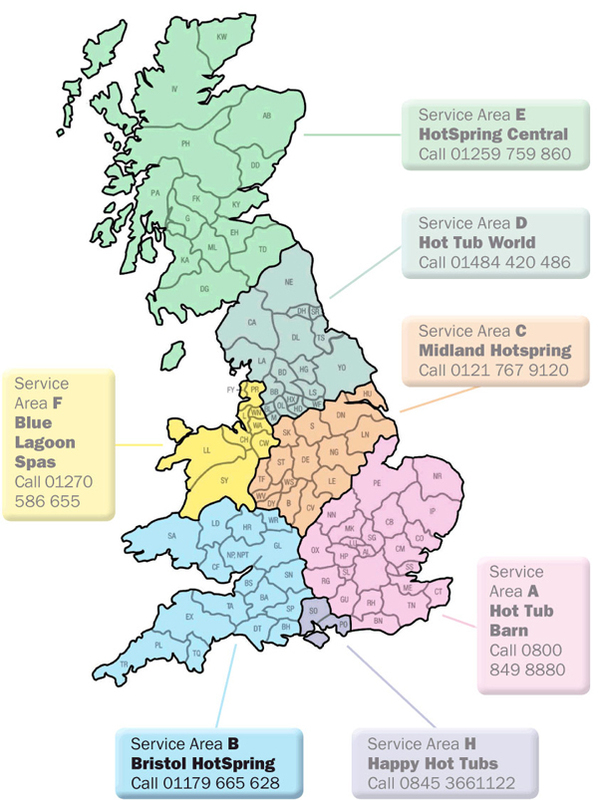 By choosing Hotspring Southwest & Wales you can expect to encounter skills service technicians who participate in ongoing factory training to maintenance a comprehensive product knowledge and ability in servicing and maintaining your HotSpring hot tub as well as all brands of hot tubs and exercise pools. Our local dedicated service team are on hand to help and guide you to ensure you have the absolute best hot tub ownership experience. With close to 40 years collective experience between the team you can rest assured that you are in good hands. Our delivery teams are successfully delivering and installing hot tubs twice daily throughout the year so regularly deal with and solve difficult access issues. If you want a hot tub then we will find a way to deliver! 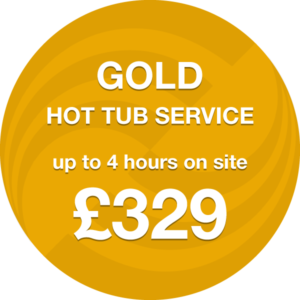 The HotSpring South West and Wales hot tub repair and service team of professional technicians provides a complete range of services from the installation of your hot tub to a comprehensive after-delivery repair and service including; scheduled maintenance, water care, chemicals and accessories. Our Factory Trained technical hot tub repair and service team offer outstanding product knowledge to be able to fully service all brands of hot tubs, swim spas and exercise pools. Our service area includes South Wales, Worcester, Gloucester, Swindon, Southampton and the whole of the south west of England. Our installation and service technicians are all professionally trained and experienced with both domestic and commercial installations including hot tub repair and service with or without warranty. 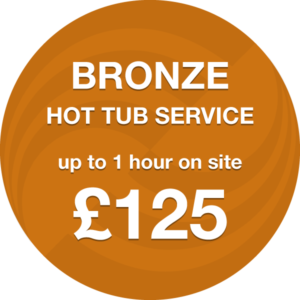 For all servicing enquiries please call our HotSpring Hot Tub Service and Repair team at 01179 665 628. Up to1 hour for £125, £25 for each 1/4 hour thereafter (Customer to have drained spa, refilled and added chlorine before visit). Testing of all electrical components to ensure optimum performance. Replace as necessary any faulty parts covered by warranty (parts & time permitting). Report to client non-warranty worn/defective parts, agree cost of works with customer before proceeding (parts & time permitting). Spa Cover & Cabinet – clean & treat lid with protector. Test water & treat as necessary. Up to 2 hours for £225, £25 for each 1/4 hour thereafter. Spa Cover & Cabinet – clean & treat lid with protector & clean cabinet. Circulation Pump – De-scale & Clean (if applicable). Ozone – De-scale & Clean (if applicable – Accessory Item). Filters – Degrease filters and clean with high-pressure hose. Up to 4 hours for £329, £25 for each 1/4 hour thereafter. Clean & Vacuum Service Compartment. Internal pipe work & Spa Bath – System clean and flush internal pipe work – includes full vac of pipe work to ensure as much removal of water & debris as possible before refill. Re-grease of gaskets and o-rings behind jets and diverters etc (if applicable). Spa shell – Clean spa shell.